Télégramme Group, a major French media, sports and entertainment group, as part of their diversification and development strategy has acquired a majority shareholding in OC Sport, the global sports marketing company specialising in professional sailing and outdoor events. OC Sport was originally created by Mark Turner in 1993, who then joined forces with Dame Ellen MacArthur in 1997, to form the backbone of the operation that launched and then developed MacArthur’s sailing career. In the last ten years, OC Sport has become a global sports marketing and events company specialising in professional sailing at both event and team level (Extreme Sailing Series, The Transat, Barcelona World Race, Artemis Offshore Academy, Dongfeng Race Team) and in outdoor events, especially in premium amateur cycling races (Haute Route Alps, Haute Route Pyrenees, Haute Route Dolomites Swiss Alps) and mass participation running events (Harmony Geneva Marathon for Unicef, French Riviera Marathon Nice-Cannes). Operating globally from bases in the UK, Switzerland, France and Singapore, OC Sport is an award-winning and leading event management company and rights holder, it manages competitive teams and athletes and provides consultancy to global brands, host venues and other event organisers. In 2014 OC Sport’s international team will be involved in more than 200 days of events and competition, across 36 events in 15 countries on 4 continents, Asia being a key element in OC Sport’s development strategy. In 2010, after finishing her sailing career and focusing on her own foundation in the area of sustainability, Mark Turner bought out MacArthur and brought in Rémi Duchemin as both a major shareholder and CEO. The two have led the company through a period of significant growth, backed by various investors that have helped the company continue to launch new projects. Today, Télégramme Group has acquired a majority of the share capital of the group, with Duchemin and Turner remaining as shareholders for the next chapter of OC Sport’s journey. The Télégramme Group has been a media specialist for 70 years, and more recently acquired an events portfolio in sport and entertainment, including in sailing the famous Route du Rhum Destination Guadeloupe, the event that launched Ellen MacArthur’s career and indeed OC Sport in 1998, and the Solitaire du Figaro Eric Bompard, the entire focus of OC Sport’s Artemis Offshore Academy. Furthermore, Télégramme Group as guardians of the Pen Duick brand, and the name of the boats sailed by French legend Eric Tabarly, have one even more important link to OC Sport: Tabarly made his name through winning The Transat in 1964, an event that OC Sport rescued in 2004 and will run again in 2016. As a conclusion, Mark Turner stated: “In the past few years we’ve helped take the sport of sailing to new audiences all around the world, creating the Barcelona World Race, the award-winning and game-changing Extreme Sailing Series, helped establish the ground-breaking Oman Sail project in a country where the sport didn’t exist, developed an Academy in the UK which is now starting to produce future solo sailing stars, launched four years ago the ultimate amateur cycling races in the world, developed significantly some of the largest running events in Europe, and most recently taken on the huge challenge of a Chinese backed, and partly Chinese crewed, Volvo Ocean Race campaign. 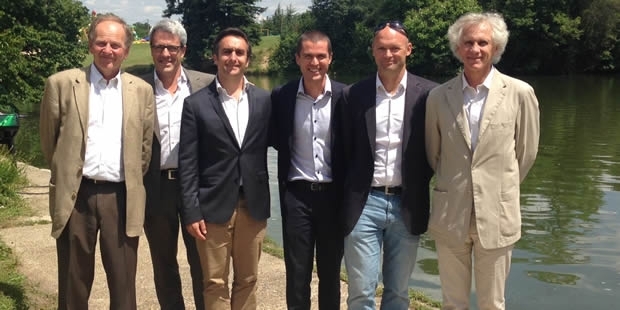 In 2012 OC Sport was formed from the merger of three entities – PCA/Ocho Sport, OC Group and ThirdPole with the support of Matignon Investissement – and has developed strong expertise in consulting, project management and event management. PCA was founded by Patrice Clerc who has built up over the past 35 years a unique experience in the creation, management and development of major sporting events. Patrice was the Chairman and CEO of Amaury Sport Organisation (Tour de France, Dakar Rally, French Golf Open…) between 2000 to 2008, and CEO of Roland-Garros from 1984 to 2000.